The 2017 solar eclipse could easily be the most photographed event of the year, but what if the only camera you own is inside your smartphone? While it won’t get you those close-ups of the celestial phenomenon, even NASA agrees that it is possible to shoot the eclipse with a smartphone. Merging NASA’s smartphone recommendations with the same advice given to DSLR-toting photographers, we’ll tell you how to photograph an eclipse with a smartphone. Missed the 2017 event? You have until April 2024 to prepare for the next one. Just because it’s possible to shoot the eclipse with a smartphone doesn’t mean you’ll get those detailed close-ups as the moon passes in front of the sun. Smartphones have wide-angle lenses, which means the moon will look small in the picture — just take a look at how small the full moon appears in this shot from the iPhone 7. Even the zoom lens in the iPhone 7 Plus will only get you so close, but it’s a better option than employing digital zoom. The eclipse will take up roughly the same amount of space as the full moon shown in the section below. The eclipse lasts less than three minutes, so don’t waste that time trying to get a close-up with digital zoom. So, should you tuck your smartphone away and leave the shots up to the professionals? Not at all. The trick to photographing the eclipse with a smartphone is to understand the limitations of your gear and use that to your advantage. The eclipse lasts less than three minutes, so don’t waste that time trying to get a close-up with a smartphone’s digital zoom — you won’t be happy with the results. Instead, embrace the wide-angle lens and photograph the eclipse with the surrounding scenery. Show the eclipse with everyone watching, or, scope out a scenic location and show the eclipse over a local scene like a lake or city skyline. Besides a smartphone, what else do you need? Safety first — looking at the eclipse without proper eyewear can cause permanent damage to your eyes. Pick up two pairs of eclipse glasses and make sure they are certified to ISO 12312-2, which will be marked on the side of the glasses — beware of fakes! Why two pairs? One for your eyes, and one for your phone, of course. While DSLRs need proper protection in order to avoid damaging the sensor, Apple suggests that the smaller sensor and smaller lens of an iPhone means that photographing the eclipse isn’t going to permanently damage the smartphone. But it also varies depending on the camera’s sensor size and the lens aperture, therefore smartphones with better cameras or with zoom lenses may not fall under the same statement. Shooting the eclipse probably isn’t going to break your phone, but you should err on the side of caution. Because of the sun’s brightness, NASA suggests placing a pair of eclipse glasses over the smartphone camera in order to get more detail (if you’re situated within the path of totality, you can temporarily remove the glasses when the sun is completely covered).You can hold the glasses in front of the lens, or tape the glasses in place. And if there’s anyone to trust with eclipse photography tips, it’s NASA. 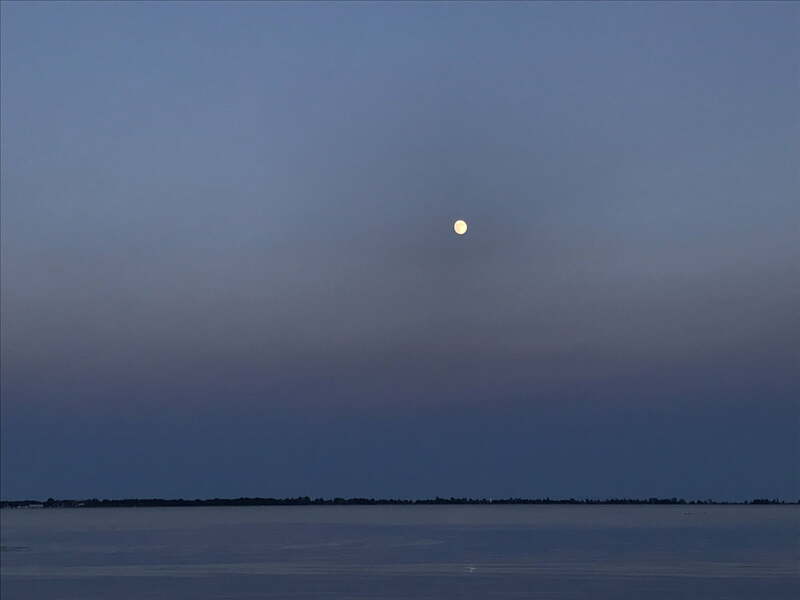 When the moon covers the sun, lighting conditions will resemble twilight hours. With any low-light photography, you’ll need a tripod. We recommend something good and inexpensive, like these $40-$60 Joby GorillaPod smartphone tripods. Don’t have enough time to buy a tripod? Find a surface to lean your smartphone on and keep the phone as still as possible. Some smartphone cases also have kickstands that can double as makeshift tripods. There are a few other accessories that may come in handy. A Bluetooth remote control to trigger the camera also helps with keeping things steady. You can find plenty of these devices for around $20 or less. You can also employ a quality add-on lens, like those from Zeiss and Moment, to enhance the quality of the image. While you can photograph the eclipse with a native camera app, to get better results and more control over the final image, an app with manual camera modes is helpful. If you don’t already have a favorite manual camera app, try Lightroom’s shooting mode for both iOS and Android. Now that you know what to expect and what accessories to bring along, you can get started. We’ll also repeat some of the things we mentioned above. 1. Arrive early and plan your shot. The eclipse will only last for a few minutes, so make sure to plan enough time to arrive and scope out your spot. Use Time’s eclipse planner to see how the eclipse will look in your location and what time the action starts. Remember, you’ll get better results if you use the smartphone’s wide-angle lens to your advantage. Determine what you want to include in the photo with the eclipse — like a treeline, city skyline, or lake scene — and set up accordingly. Make sure the eclipse will actually happen over your scene by watching the sun’s movement. Once you have the scene in mind, set up the tripod if you have one, or find something to hold the phone against for a steadier shot. Attach those glasses to the front of the smartphone — even if you don’t need them for your smartphone’s safety, they’ll create more detail in the shots. Don’t forget, you should also photograph the partial eclipse before and after the full or nearly-full eclipse occurs. The eclipse contains both very bright and very dark areas, which is ideal for the high dynamic range or HDR mode on your phone. If your smartphone has an HDR option — and most do — make sure it’s on. If you’re using Lightroom Mobile’s camera mode, tapping the drop-down menu next to the circular shutter release on the bottom of the screen brings up the HDR option. In the iOS native app, HDR options are at the top of the screen while Android’s built-in camera app has the feature inside the shooting mode menu. 3. Focus on the moon. Dark scenes wreak havoc on autofocus — so don’t autofocus. Instead, tap on the moon on the screen to focus on the moon. Getting a proper exposure (the photo term used to describe how light or dark the image is) can be tricky during an eclipse. After tapping on the moon to focus, adjust the exposure until you see the most detail in the eclipse. On iOS, after tapping, you can slide your finger up and down to adjust the exposure. Inside Google Camera, turn “manual” on in the settings menu then adjust using the +/- scale on the bottom of the screen. If you are shooting inside Lightroom Mobile, you can use the “Exp.” icon to adjust the exposure compensation without shooting on full manual. Of course, if you know how to adjust shutter speed and ISO, you can use the Pro mode in Lightroom mobile to shoot with manual exposure settings. However, the few minutes during the eclipse is not a good time to try out manual mode for the first time. 5. Shoot, adjust, then shoot again. With the focus and exposure locked, go ahead and snap that eclipse. Use a remote release if you have one. Next, quickly preview the shot and make any necessary adjustments. The eclipse only lasts in totality for a few minutes, so shoot quickly, but don’t forget to experience the phenomenon with your own eyes (with those glasses, of course). During totality, you can take the glasses off the front of the smartphone, but during the partial eclipse phases, the glasses will help the brightest areas from being overexposed. Want to take your eclipse photography a bit further? Try some of these ideas. Look for shadows. The partial phases of the eclipse will create funny shadows, since the sun isn’t creating a spherical light. Capturing them can be fun — try using that exposure compensation to darken the image and bring those odd shadows out. Shoot all the phases, then mix in a photo editing app. Shooting the eclipse during several different stages of totality and mixing them together later in Photoshop is a common trick professionals use, but that doesn’t mean you can’t try the same thing with a smartphone too. Take several photos before and after totality. Then, use a photo app that allows you to layer photos to mix them all together, leaving the scene intact but creating several “eclipses” across the sky. PicsArt is a good photo app for the task, as well as Adobe Photoshop Mix. Try a video or a time lapse. Besides shooting a still image, smartphones also make it possible to shoot a video; merge several photos into a video to create a time-lapse; or a video where time speeds up. Of course, unless you have two smartphones, you’ll have to pick one or the other. Videos can be shot with the built-in app, while Hyperlapse and Lapse It are good time-lapse apps. Sure, A DSLR and a telephoto lens will get you much closer, detailed shots of the solar eclipse. But, with a few tricks, you can capture excellent wide-angle shots of the eclipse using just your smartphone and a few inexpensive extras. And by 2024, when the next eclipse occurs over the U.S., perhaps smartphones (or some other device) will be more than capable.